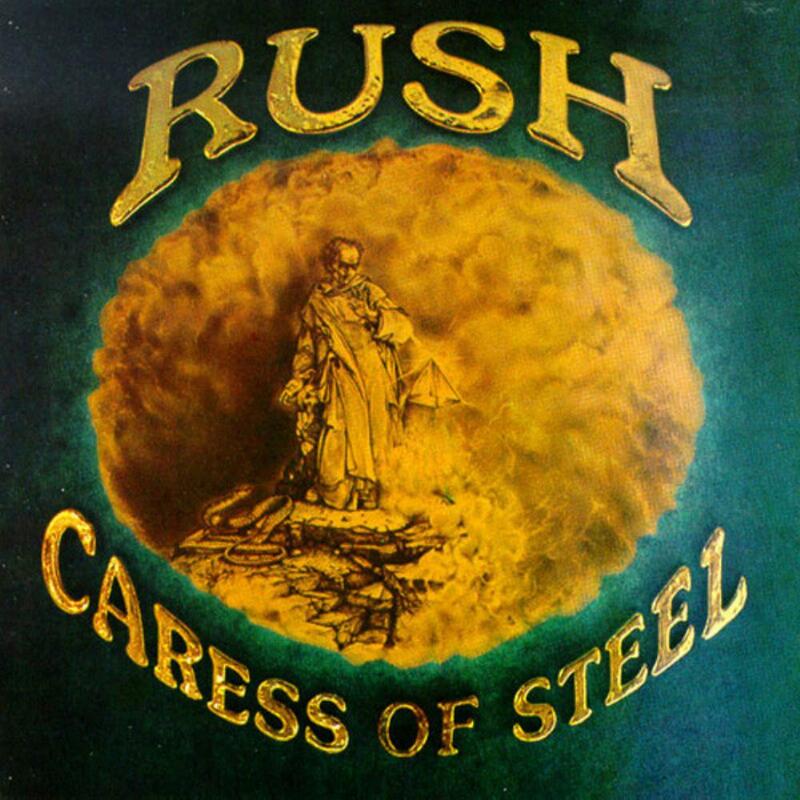 Rush had abandoned their unbridled Led Zeppelin worship and plunged into uncharted prog metal waters on Fly By Night, so when the first song on Caress of Steel - Bastille Day - is yet another Zep tribute, it bodes ill for the rest of the album. Sure enough, Caress of Steel represents an awkward compromise between commercial rockin' out and progressive metal excess. Both aspects of the album are critically flawed;; the band don't really seem interested in the shorter songs, whilst the prog epics suffer from Rush's compositional chops not quite keeping pace with their ambition. Of the shorter songs, Bastille Day is the Zep imitator as mentioned, I Think I'm Going Bald is an equally unoriginal and uninspired riff on Goin' Blind by Kiss, and Lakeside Park is entirely forgettable. As for the prog pieces, the Necromancer pads out its running time with an overlong narration at the beginning, takes too long to build up steam, and isn't that impressive what it does. The Fountain of Lamneth, similarly, pads out its runtime with far too much filler and compares poorly to the sidelong epic on the next album, 2112, which it occasionally sounds like working sketches for. Ultimately, Caress of Steel is what's called a "transitional" album, that being music reviewer code for an album which tries to go for two different sounds at once and fails to accomplish either of them. Probably worth a listen if you're a major Rush fan, but don't expect it to supplant 2112 or its successors in your collection any time soon.